China is expanding ties to its west as well as eastward across the Pacific Ocean. First, “Go West” emphasizes the plan for “a belt and a road” (referring to the “Silk Road Economic Belt” and the 21st century “Maritime Silk Road”). This strategy is significant; China will need to build this “belt and road” to realize a “community of common interests” or “community of common destiny” with China’s western neighbors, other Central Asian countries, and the Arab world. The Silk Road Economic Belt and Maritime Silk Road are essential to enhancing and securing reciprocal economic cooperation between China and the regions to China’s west. This strategy also highlights China’s interest in economic integration with these neighboring regions. As President Xi Jinping put it, “a belt and a road” are “the path to mutual benefit and win-win [cooperation].” Two facts support this “Go West” strategy. 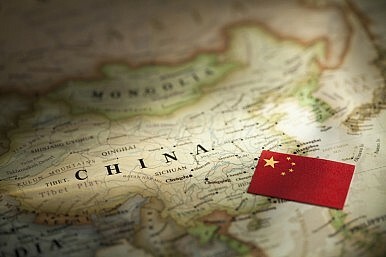 First, there’s the long history of trade and communication between China and the western regions. Second, there is an ever-growing need for furthering economic cooperation and joint development in this area. In looking west, China is also driven by geopolitical concerns and regional security threats such as terrorism. Accordingly, China sees the Shanghai Cooperation Organization (SCO) as a major platform for furthering multilateral cooperation on important regional issues. In its “SCO Yellow Book 2014,” the Chinese Academy of Social Sciences (CASS) argues that as the U.S. adjusts its strategy and returns to the Asia-Pacific region, China needs to find more developmental space in the western regions to mitigate the pressure from the east. But China is not neglecting the eastern regions either; thus the corresponding “Leap East.” This strategy is not confined to the East Asian region either. Although China has been working hard on its charm offensive toward South Korea, given the fact that the ROK-U.S. alliance has existed for a much longer period of time compared to the history of Sino-ROK diplomatic relations, and the fact that the Japan-U.S. alliance is growing stronger, China won’t be able to easily gain the upper hand in the East Asian game, particularly in the short term. The U.S. has been substantially engaged in this region since the end of WWII and still maintains relative advantages in its confidence and strategic maneuverability. Therefore China cannot afford to be immersed in the enduring East Asian conundrum. Instead, it could be a better choice for China to take a “leap” from East Asia, of course with the precondition that China fully uses it capability to maintain the relative stability of the East Asian region. China does not need to directly confront and seek to break through the first and second island chains; it can simply “leap” over them and find more diplomatic maneuvering space on the other side. This “Leap East” was reflected in President Xi Jinping’s two important visits to Latin America since he took office in late 2012, one in June 2013 and the other in July 2014. As in China’s push west, economic cooperation has been a major driving force for the “Leap East.” China will probably outpace the EU and become Latin America’s second largest trading partner within two years, and could eventually pass the U.S to claim the top spot. From a geopolitical view, there’s significant strategic meaning to China stabilizing and extending its influence, either economically or politically, in the traditional backyard of the U.S. And there’s another interesting angle worth considering: many Latin American countries maintain diplomatic relations with Taiwan, yet Beijing does not seem to be holding this against potential partners as it seeks to further its economic and diplomatic existence in the region. This hints that Beijing has a long-term strategy for the region and has intentionally adopted a more practical and flexible diplomacy. Where Is China's Silk Road Actually Going? At the Boao Forum, China provided the clearest overview yet of its ambitious Silk Road plans.